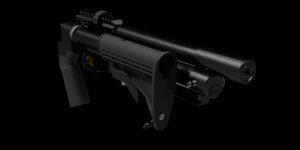 American Air Arms airguns offers a highly functional design with exceptional engineering, every gun is constructed using only the highest quality materials and manufactured to the highest standards completely in the USA. We take quality very seriously, every part is inspected before assembly, all guns are pressure tested for 2 days before they are chronographed to ensure proper performance. All American Air Arms airguns carry a One Year Warranty against faulty workmanship, defective materials, and leaks. If the airgun develops a defect within the warranty period, please contact us directly either by email or phone; do not attempt to remedy the problem yourself. This warranty does not cover any damage caused by tampering, or abuse to the airgun. Our airguns should only be disassembled by factory-authorized airsmiths. If there is a need to disassemble any part of the airgun, please contact us first to prevent voiding your warranty and potential damage to the airgun and/or yourself. It is always necessary to give people security as their protection of what they are buying for them also to give trust to your company and for you to have a good reputation. I hope any small or big businesses can provide warranty.